Major Firm Announces It’s Replacing Its Employees with A.I. Welcome to the age of automation. It was only a matter of time before the impact of robots and automation would start having an effect on the white-collar workforce. Case in point: BlackRock, Inc, the world’s largest money manager, just announced that it plans to transition toward automated solutions. The decision to transition comes after news of a massive overhaul that involved a reorganization within BlackRock. The purpose of the reorganization was to place a greater emphasis on computer algorithms that can inform investments. Quite simply, investors are now questioning whether having a human manage their money is worth the fees they require, especially since successful money management is essentially anchored on recognizing and following certain market indicators — the sort of things artificial intelligences (AI) can be programmed to do. In light of that, BlackRock plans to merge traditional investing methods with technology and data science. This strategy marks the biggest shift in traditional stock picking by a major asset manager to date. It will impact $30 billion worth of assets, and roughly 13 percent of BlackRock’s portfolio managers will be laid off as part of the transition. Talk of how much automation will disrupt the traditional workforce has mostly centered on blue-collar industries, but this move from BlackRock demonstrates that the very real implications of technology on the job market aren’t limited to professions defined by easily replicated manual labor. Jobs in stock picking and money management are some of the most lucrative, and yet, given BlackRock’s decision to turn to machines and algorithms to refine their services, even those knowledge-based professions are vulnerable to automation. “We are starting to see in fields like medicine, law, investment banking, dramatic increases in the ability of computers to think as well or better than humans. And that’s really the game-changer here. Because that’s something that we have never seen before,” public policy expert Sunil Johal told CBC News in reference to robots taking over white-collar professions. 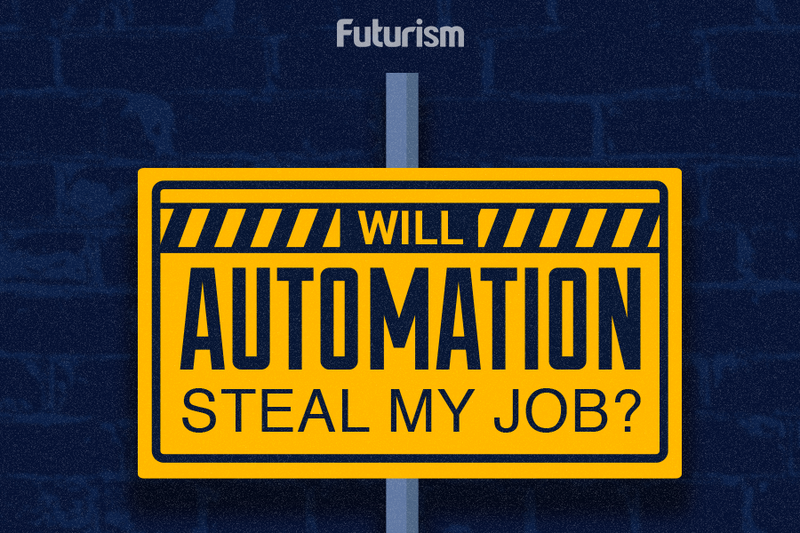 Millions of workers worldwide are expected to be displaced by automation, and even the best algorithm can’t predict right now what the impact of that will be.